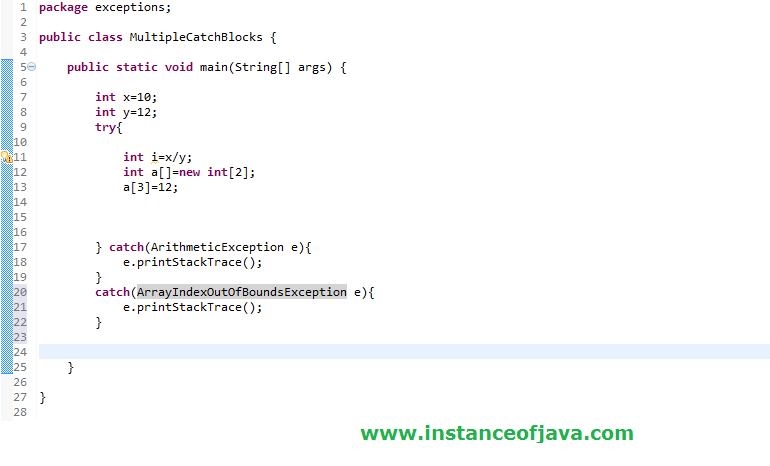 So we need to handle these exceptions also using try catch blocks. throw keyword must follow Throwable type of object. It must be used only in method logic. We can throw user defined exception using throw keyword.